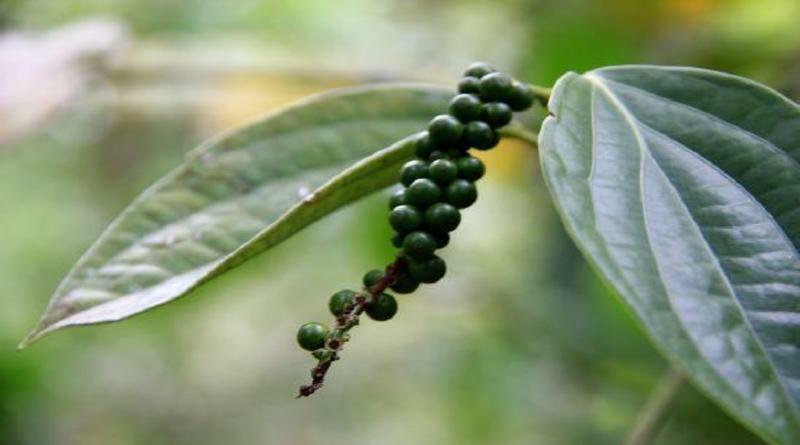 Farmers group in Wayanad -The Wayanad Social Service Society (WSSS), has setup a unique park for protecting rare native black pepper varieties. Park is which has collections of 42 rare native varieties spreads over three acres in place called Mananthavady in Wayanad district of Kerala. According to society,aims to protect and popularize the native pepper varieties which which have better disease resistance and drought tolerance but had been abandoned by farmers following the advent of high yielding hybrid varieties. Society apart from protecting pepper varieties, would also make available planting material of native varieties to farmers. The native pepper varieties which have been collected from Wayanad, Nilgiris, Coorg and other Malabar districts include the once widely cultivated Kalluvalli, Jeerakamundi, Neelamundi, Cherumaniyan, Karimunda etc. According to director of WSSS, Native pepper varieties for this park were collected from remote tribal colonies and from the forests.They are in process of identifying and adding more native varieties.It aims to collect around 60 native pepper varieties soon. Director also added that farmers who took up the cultivation of native pepper varieties should be provided incentives by the government. It would be sensible for farmers to set apart at least 10% of their land for cultivation of native varieties.